Jill Wilde, the woman behind Wilde by Design, is a designer, stylist, and costume designer with over twelve years of experience. Frustrated by what she saw as a lack of choice, she decided to use her skills to create a unique offering for alternative brides – bespoke wedding dresses, veils, and cloaks to suit their individual looks and personalities. Jill’s background as a stylist means that she sees each bride as an individual and crafts her pieces with an eye to the total effect. Each piece she designs will enhance a bride’s own beauty, style, and personality… and bring a little bit more magic to their wedding day. Her designs are creative, imaginative and nostalgic. Her pieces are often vintage-inspired, and sometimes ethereal. She often works with brides who have a singular vision in mind and helps them to realise it. In addition to bespoke wedding veils and gowns, Jill offers a wedding stylist service to help you find the perfect dress for yourself, your bridesmaids, and the rest of the bridal party. All Wilde by Design pieces are proudly made to order in Dublin, by expert Irish and international seamstresses based in The Fashion Hothouse. Wilde by Design has been featured on OneFabDay.com. Bride Iseult’s sister won a bespoke veil. You can see the beautiful photos here. Our hand made Irish bridal veils recently featured in Confetti Magazine in a wedding beauty trends shoot with model Madeline Mulqueen. Pictured – the Daisy wedding veil. 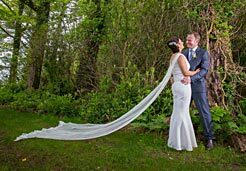 WeddingsOnline.ie included the Sophie full length wedding veil in their piece on Incredible Wedding Veils. Irish Wedding site Mrs2Be.ie also featured some of our range in a Vintage Tea Party-inspired photo shoot. 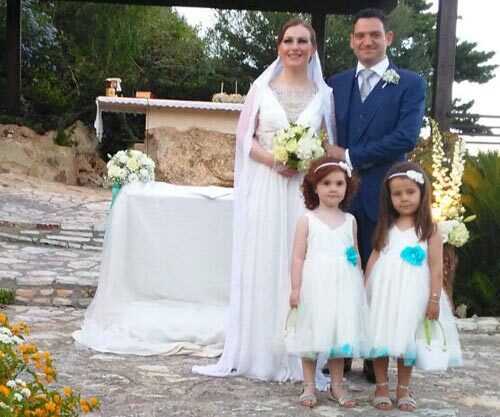 Ann, a Wilde by Design client, had her wedding featured in this article in The Irish Times. I love the fact that my veil was unique to me rather than a mass produced nylon affair and it will make a lovely heirloom. 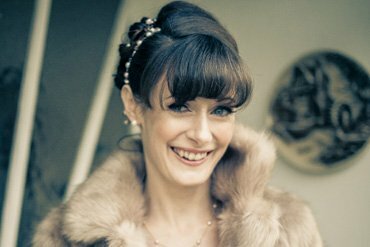 I would really recommend Jill’s service to brides to be – it is a really lovely experience to create something unique in consultation with someone so talented at such a special time. Just a quick note to say thanks again so much for my veil. I didn’t want to take it off at the end of the night. It was beautiful. I was delighted with the time and patience shown towards incorporating my design ideas into Jill’s design – the finished piece looked amazing! A huge thank you to you… wow you did an outstanding job on the cape, it was stunning on the day and everyone commented on it throughout. For more recommendations from happy clients, see our testimonials page.